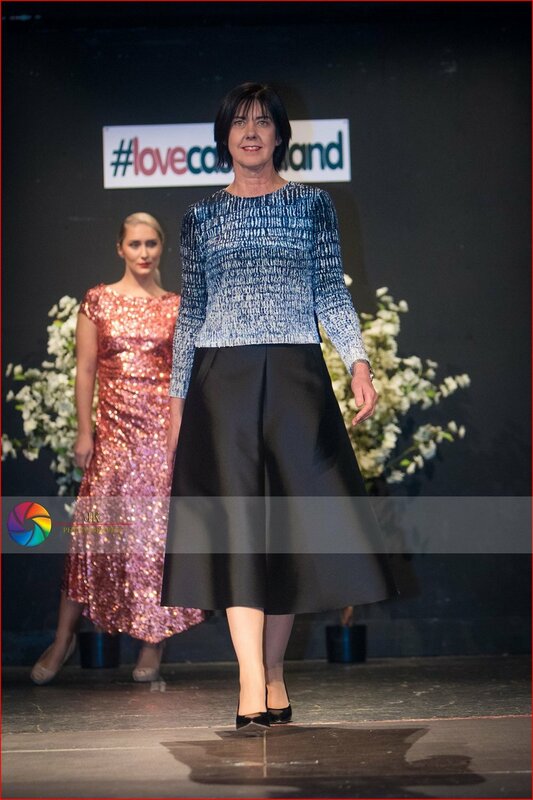 We were delighted to produce this amazing Christmas preview collections fashion show for the wonderful town of Castleisland . . . thank you for having us and special thanks to Jill Hannon, Denise Bourke and Bill Costello and Jerome Stack for making it all happen. All the details below with some images from John Kelliher Photography. 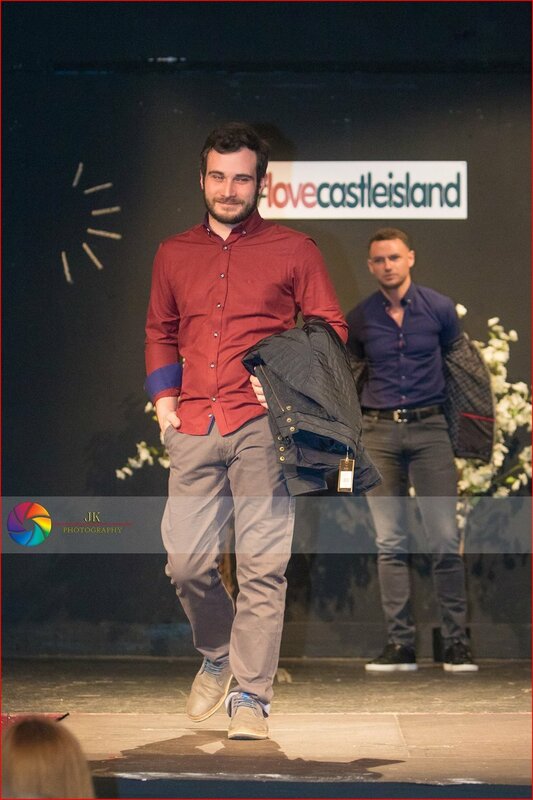 The #lovecastleisland Christmas Collections Show held in the magnificent setting of the historic Ivy Lane Theatre in Castleisland was a huge success. Mc'ed by blogger and fashionista, Orlagh Winters, the event was completely sold out as style lovers gathered to exclusively preview what was on trend for all ages and sizes for the season from the town’s top boutiques. The night was also attended by many of Munster's top fashion bloggers including Laura MacSweeny, Shin Hayes Laura Holly, Zoe O'Connor and Anne McSweeney, who together with the audience got #lovecastleisland trending on social media and spread the message - that Castleisland is indeed the fashion Capital of Kerry. Boutiques showing on the evening were Ivy Lane at Hannons, Crag Caves, Divas and Dudes, Fashion World, Joi Fashion & Shoe Boutique, East 73rd.ie, La Femme, Jackie Reidy Menswear, David Costello Footwear, Galvins Opticians, Diamonds are Forever and milliner Cathy Troth. There was amazing prizes on the night including for the best social media post a stay in the Dublin Airport Hotel with 5 days free parking, a door prize to the value of €200 kindly sponsored by Castleisland Credit Union and other prizes sponsored by Castleisland Chamber, Brownes Bar and the businesses of Castleisland town. Hair for the fashion show was created by Norma Reidy and her stellar team at Shine Hair Salon and the make up looks were created by Jessica O Sullivan, JOS skin and beauty. Flowers and decoration by Sheila Costello from ‘Flowers by Sheila’. The Marquee was sponsored by Sinead Browne Murphy. The night was produced by fashion PR and model agent, and stylist with RTE Today Show, Orla Diffily and featured professional models Aisling O’Sullivan, Dawn O’Sullivan, Aoife Healy, Danny Xu, Kristin McKenzie Vass and Liz Galwey. They were joined on the runway by mini-super models Zoe, Hazel, Emily, Lauren, Sean, Ciara and Niamh. The handsome male models were Emmet and Neill. Staging, production and sound was by Ray Stack and Arron Williams. The organising committee want to especially thank Jerome Stack - for going above and far beyond to make sure that everything in the Ivy Theatre was perfect.